Do Plant Roots Search for Water? No. Roots grow where there is available water. Often people ask how roots find their sewer pipes and clog them up. A sewer pipe would need to have a leak creating moist soil where existing roots reside. 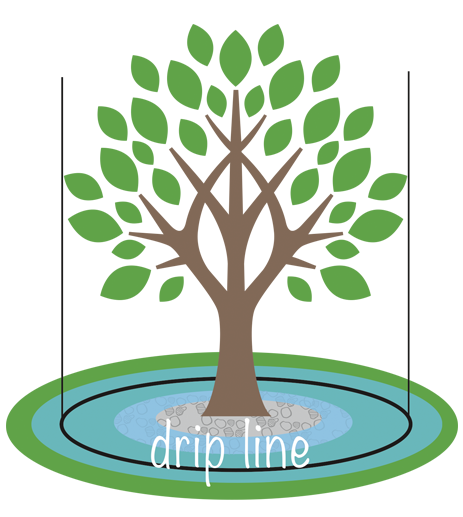 As the roots grow through the moist soil, they follow the path of the soil moisture which takes them right into the sewer pipe leak. All plants have a limit to their root growth; however, people don't realize trees and shrubs in optimal environments have root growth that extends two to three times the width of their canopies. You will find many recommendations to water just under the canopy. But for optimum growth and health, you want to water where most of the roots grow, and that is at, and slightly beyond, the canopy.